Our next beginner class is starting soon!! PowerTaps is now offering a new “Beginner from Scratch” class! If you’ve ever wanted to try clogging, now is a great opportunity to give it a shot without any obligation. This special class session runs for 6 weeks and can help prepare you for future clogging classes if you decide you love to clog! Cost is $5.00 per student, per class and requires no registration fee or long term commitment. Wear comfortable shoes…clogging shoes are not required. We will be offering new Adult & Kids classes at our new location on Hwy 92 in Woodstock soon, and we are accepting registrations now. Sign up by completing the quick form and we will email you more details. See Class pricing and Starter Pack II details below. 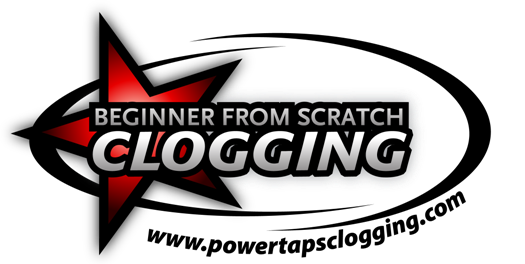 If you have questions about the class, call us at 770-710-1152 or email us at info@powertapsclogging.com. Secure your spot in our next Beginner from Scratch class! Simply fill out the form below to add your name to the class roster. No registration or deposit required to join the class!